My daughter had an upset stomach today so she did not go to school. She threw up a couple of times when she woke up so we told her to stay home. She felt a little better towards the afternoon so we made the Fairy House after we watched the TinkerBell The Great Fairy Rescue. My daughter love the fairy house that the little girl have made. Also, we recently watched the third TinkerBell movie The Secret of the Wings. 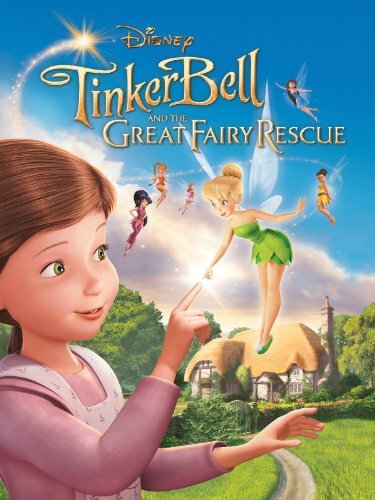 We love TinkerBell here at home and would never get tired of watching them. We have been using the empty boxes that we have at the basement. It gives me and the kids something to do. It sparks their creativity. She is not done with it yet, she plans to decorate the walls and other parts. 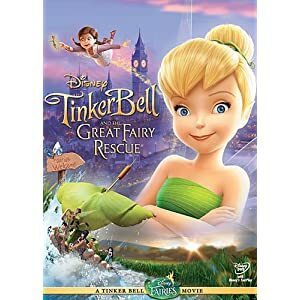 we watched TinkerBell Secret of Wings too the other day and I must say I love it. My boys said it's girl's stuff but they love it just the same. I noticed Rye has been designing box houses lately. Hmmm, budding architect? So sorry to hear your little girl was sick. I hope she's all better now. Merry Christmas to you and your beautiful family! Very cute project. I love Tinkerbell, too. Happy Pink Saturday and Merry Christmas to you. It's lovely to see creativity sparked - I know she's having fun with her Fairy House! That's a very cute project. Merry Christmas! Creating masterpieces out of cardboard boxes, I'm sure, is a fun way to while away time. Aside from sparking creativity, you get to recycle stuff and help save the environment, too. dami na ni burritong nagawa ah..I rember she made doll house ba yun..or play house...at young age nabubuksan na yung creativity nya..good for her..Merry Christmas! Hope your cutie is doing fine now. Akalain mo she's not feeling well pa, pero ang artistic mind nya very active. your aid to lifelike methods, such as the one set up in male enhancement. That DIY box and TinkerBell really unleashes your daughter's creativity. Very creative talaga si Rylie and she always keeps herself busy.